I’ve decided a weekly movie night is in order, I want to get around to watching all the classic and well known movies that I should have seen already, or that I saw snippets of as a child and now can’t remember. 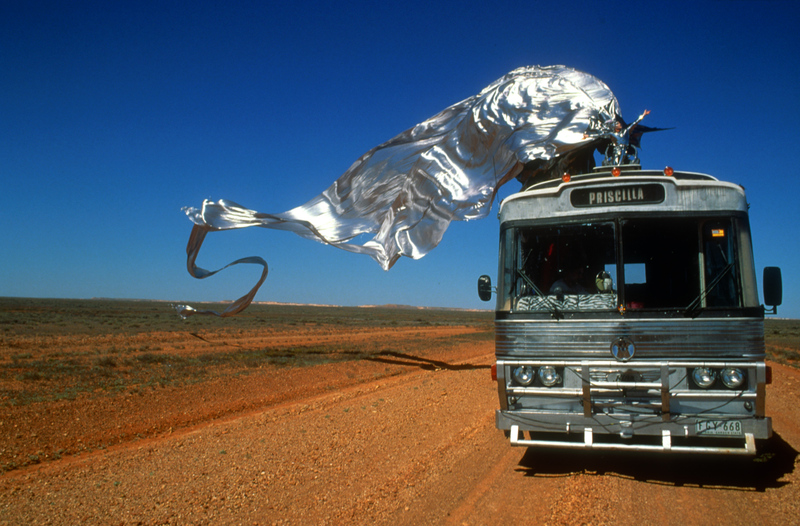 It all started the other morning when Andrew and I randomly started talking about the Australian classic Priscilla: Queen of the Desert, he and my housemate both incredulous that I hadn’t seen it. I vaguely remember scenes from the movie as a child and being utterly terrified of Hugo Weaving’s face in drag. Let’s face it, he’s not the most attractive man, let alone a woman. I also remember snippets of the scene when men try to attack Guy Pierce’s character and getting too scared to go on (clearly I was an easily frightened child). We had the soundtrack to Priscilla at home though and I loved it and knew every word to every song. But I think the main reason I never got into Priscilla was that my sister had taped To Wong Foo, Thanks For Everything Julie Newmar onto VHS and we were completely obsessed with it. Too Wong Foo is pretty much the American version of Priscilla. They were made at almost exactly the same time and both centre around a handful of drag queens going on a road trip and encountering some hatred from the inland rednecks/bogans. 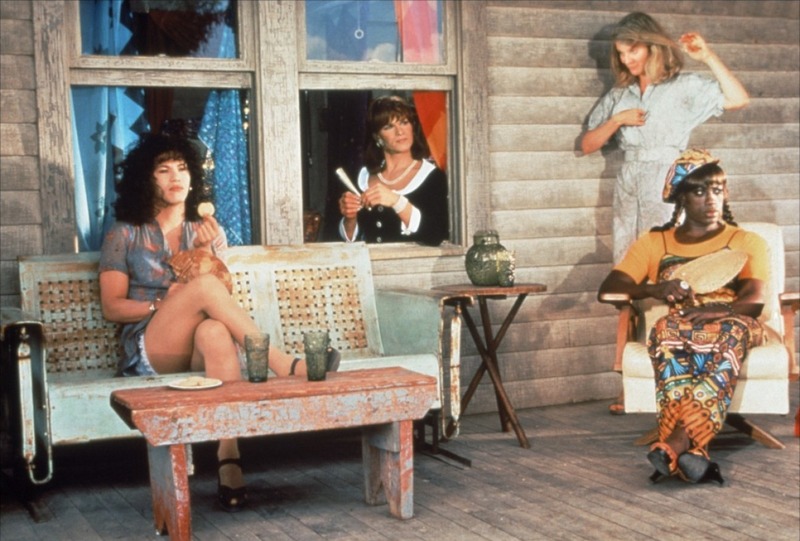 The major difference being, the men in Too Wong Foo are always in drag and, bizarrely, most people seem to think they are women. Obviously the humour is very different as well. Unfortunately mid-nineties Australian humour grates on me something awful, so Priscilla lost a few points with me there. Also, Too Wong Foo has a bit of an all-star cast; Patrick Swayze, Wesley Snipes and Robin Williams makes a cameo. Upon re-watching Too Wong Foo as an adult the other night, I picked up on so many more jokes than when I was a kid, as is often the way. I was also delighted to see the nightclub in which the ‘Drag Queen of the Year’ awards are held in the opening scenes is none other than Webster Hall. A venue that I spent more than one night dancing up a storm at on my 2010 trip to NYC. Have you seen either movie? Which do you think is best? Also, which classics should I watch? A few more on my list are: The Shawshank Redemption, Pulp Fiction and The Godfather. This entry was posted in Misc and tagged Movies. Bookmark the permalink. I love Priscilla! I love the outfits in it and a great story. I have not seen Too Wong Foo, but will now watch it so i can compare the two movies. My favourite classic to watch is Breakfast at Tiffanys with Audrey Hepburn (1960s movie). Another few classic movies that were in the 90’s would be Forrest Gump, Home Alone, Schindlers List and Goodfellas. Great suggestions! I watched both Home Alone movies just before Christmas, such classics! I feel like they just don’t make kids movies like that anymore. I will cry my eyes out during Forrest Gump (like I always do), same with Schindlers List! I haven’t seen Goodfellas, definitely adding that on. Thanks! I loved Priscilla as a kid but can’t seem to handle it anymore. The Shawshank Redemption is amazing. It’s long but so worth it. If you haven’t seen Some Like It Hot and Gentlemen Prefer Blondes I’d recommend those, two of my favourites.